You'll be £25.00 closer to your next £10.00 credit when you purchase Fighting Emperors of Byzantium. What's this? The Eastern Roman or 'Byzantine' Empire had to fight for survival throughout its long history so military ability was a prime requisite for a successful Emperor. 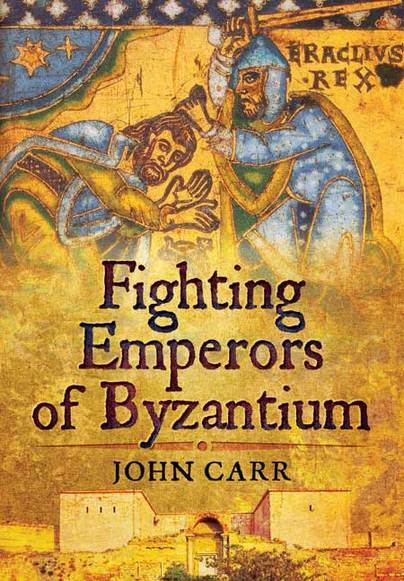 John Carr concentrates on the personal and military histories of the more capable war fighters to occupy the imperial throne at Constantinople. They include men like it's founder Constantine I , Julian, Theodosius, Justinian, Heraclius, Leo I, Leo III, Basil I, Basil II (the Bulgar-slayer), Romanus IV Diogenes, Isaac Angelus, and Constantine XI. Byzantium's emperors, and the military establishment they created and maintained, can be credited with preserving Rome's cultural legacy and, from the seventh century, forming a bulwark of Christendom against aggressive Islamic expansion. For this the empire's military organization had to be of a high order, a continuation of Roman discipline and skill adapted to new methods of warfare. Thus was the Empire, under the leadership of its fighting emperors, able to endure for almost a thousand years after the fall of Rome. How could anyone resist a book titled like this?This is full on power politics across hundreds of years in an empire that picked up where the Roman Empire left off... The objective of the author is to show how important warfare was to the existence of a Roman society in a world that was changing around them. The very same process of meeting new demands had assisted the demise of the western empire, yet the Byzantines found the vigour to persist. John Carr stresses the importance of military action in this struggle, hence the title of the book, yet the machinations of the various characters assume more importance in the text than details of military campaigns. This is not a book about Byzantine warfare. 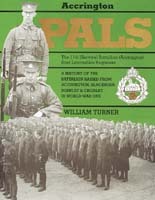 This is a book about those people who ordered their soldiers to go to war, and in many cases, actually led them into battle. And what characters they were... illustrations are unnecessary, because such is the dramatic and enthusiastic style, the story presents its own colour. John Carr has shone a light into a dusty old cupboard and revealed a treasure chest. Throughout that career he has been steeped in Greek affairs, ancient and modern, which gave him the incentive to reinvent himself as a military historian specializing in southern Europe. Since his teens he has also involved himself in music, and recently recorded a CD of self-composed instrumental rock, his main spare-time interest apart from writing.